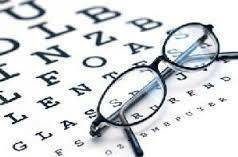 At Gig Harbor Family Eyecare you will find top quality eye care in a comfortable and welcoming environment. We offer a range of expert eye care services including eye exams, contact lens fitting, LASIK co-management and medical eye care. Our optometrists specialize in diagnosing and treating eye diseases such as eye allergies, ocular surface disease, glaucoma, and cataracts. Read below to find out more about the services offered at our Gig Harbor clinic. New to our office? Save time and fill out your patient history forms today! Just print, complete and bring to your next appointment.